In a disarming and seemingly innocuous tone, the prime minister of the world’s largest democracy tried to achieve the impossible in his chat with editors on February 16, in the middle of the worst crisis of confidence that his government has faced in its second term. He both accepted and denied responsibility for corruption in his government in that one sentence, adding fuel to an already raging fire. In less than two years the Congress Party-led United Progressive Alliance (UPA), which beat expectations to return to power in 2009 with an enhanced mandate, appears to have totally lost its way. So disoriented has been the government that it could not even muster a proper defence as scam after scam rocked the country. It was not even as if UPA II is all about swindling and little else. It is just that this government’s success stories in the making — such as the national unique identity project Aadhar, women’s reservation and performance monitoring system for the bureaucracy — have all gone unnoticed in the din created by the wave of scams. In the year-end performance rankings, more than two-thirds of the departments are said to be doing well. The economy is still growing fast, perhaps an island of excellence in an otherwise growth-starved world. But the double whammy of a runaway inflation and news of irregularities in a growing list of departments have cemented the perception of a dysfunctional government in the minds of the people. Though Manmohan Singh remains in denial, his home minister Palaniappan Chidambaram has been forthright. “There is indeed a governance deficit in some areas and perhaps there is also an ethical deficit [as well],’’ Chidambaram said recently. Even Congress President Sonia Gandhi admitted as much at the Burari Plenary of the party last December. “There is no doubt that corruption at all levels has become a disease spreading throughout our society,’’ Gandhi told party workers. International opinion on India and Singh has also taken a sharp U-turn, threatening to erode much of the Prime Minister’s credibility, built so assiduously over the past four decades of public service as an economist, bureaucrat and a reluctant politician. “India cannot be taken seriously on the world stage when its prime minister doesn’t have the power to speak on the country’s behalf,” the Wall Street Journal wrote after the PM’s February 16 press conference. That was a far cry from even last year when President Obama remarked at a G-20 meeting that when Manmohan Singh speaks, the world listens. The roots of this governance deficit, however, run much deeper than any scam or irregularity that has come to light in the recent months. At the heart of an indecisive India lies a lack of single, effective leadership. UPA-II is clearly suffering from a ‘policy paralysis’ with big-ticket reforms getting stalled because of the alliance leader’s bipolar nature and its external political compulsions. Since 1978, every Congress president has also been the prime minister whenever the party was in power. Until 2004, that is. The UPA in 2004 started on high moral ground as Congress President Sonia Gandhi, the unanimous choice of the elected UPA members, gave up a shot at the top job and instead ‘nominated’ Singh as Prime Minister. Since that day, Singh has been fighting the perception of being a puppet PM especially since he remains the only PM of India to yet win a popular mandate. While Singh’s erudition, honesty and academic accomplishments appeal to the hearts and minds of the people of India, the lack of political stature and astuteness has severely undermined his ability to lead at a time when the country is undergoing an immense social, economic and political churning. The result: What many thought would be Singh’s swan song term has turned out to be an ignominious parade of scandals and governmental inefficiency. Progress on much-needed measures such as a uniform national sales tax regime and land reforms is stalled as the government has failed to build consensus among states and its coalition partners. The Congress Party’s political equity is fast running out. Despite over two decades of coalition politics, there are no clear lessons on how to run a national government with the help of disparate regional parties without making some unwanted compromises. The Congress is insecure and is itself competing with many regional parties to regain its lost turf in the states even though many of them are its partners at the Centre. The Congress Party’s political ambitions are often intertwined with policymaking, creating conflicts with the government. The non-government sector with its grassroots influence is an important part of the party’s long-term political strategy. NGOs now have an eager listener in Sonia Gandhi who also heads the National Advisory Council, the ad hoc body which sets the tone for most development policies. The development agenda of many NGOs also ties in nicely with the pro-common man image the party has tried hard to project. Political analysts say that the real power always lay with Sonia Gandhi. Or so it appeared until the UPA returned to power in 2009 under the “leadership” of Singh. In hindsight, some, like Biraj Patnaik, an advisor to the Supreme Court Food Commissioners, believe that UPA-II is no longer headed by the politically naïve technocrat who headed UPA-I. Singh is now an ageing politician who understands the significance of his position as the helmsman of a rising economic superpower and harbours ambitions of leaving his unique legacy, says Patnaik, who has worked on the Food Security Bill (the framing of which, by the way, also brought to the fore the chasm between the administration and the NAC headed by Sonia Gandhi on policy issues). However, Singh still had to contend with demanding and largely provincial coalition partners on the one hand and his party, determined to further consolidate its newly regained mass appeal through social welfare programmes, on the other. The global downturn exacerbated the contradiction between bringing about social inclusion and ring-fencing economic growth. For example, the approach to food security has been a bone of contention between the PMO and the NAC. The council wants food security for all Indian citizens by legislation. But that may double the food subsidy bill, widening deficits and distorting public finances. 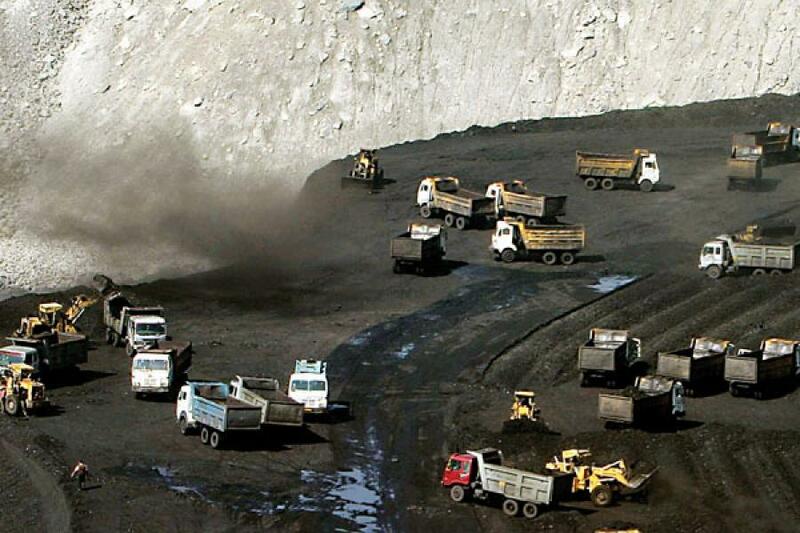 The stalled amendment to the Mining Act is another good example of how the government is caught between the politics of development and industrial growth. The key proposal in the new Act would make it mandatory for the companies mining in particular regions to share 26 percent of its profits with the local people by means of a district-level development fund. The Group of Ministers evaluating this Act was headed by Pranab Mukherjee, while Mines Minister B.K. Handique, Steel Minister Veer Bhadra Singh, Commerce Minister Anand Sharma, Environment Minister Jairam Ramesh and Deputy Chairman of the Planning Commission Montek Singh Ahluwalia were the members. In the first two meetings, when the Planning Commission was represented by Member Secretary Sudha Pillai, the GoM agreed to the 26 percent profit-sharing principle. But when Ahluwalia joined the deliberations from the third meetings onwards, he resisted the move, on the grounds that this will not be welcomed by businesses. Even Home Minister Chidambaram was in favour of this bill since it would have helped in opening up a developmental front in his fight against Maoists. As it happened, Ramesh, Handique and the rest prevailed over Ahluwalia and the bill should have been introduced in the last Winter Session, which could not be done. Meanwhile, in the last ministerial reshuffle, both Handique and Veer Bhadra Singh were shifted out of their respective ministries. A top bureaucrat told Forbes India that the current form of the Act is under review. Such policy flip-flops have contributed to the perception that nobody is really in charge. “Watching the Prime Minister [at the press conference], you could not help feeling that there was a more Machiavellian political mind at work than we give credit for. For one thing, he consistently blamed coalition politics for the limits on his power. At a surface level, this can be seen to be a piece of evasiveness that it is: Blame everyone but yourself. We should be vigilant against this kind of self-exoneration,’’ wrote Pratap Bhanu Mehta, CEO of Centre for Policy Research. The UPA-II had started with an ambitious 100-day agenda, which through various policies aimed at achieving ‘inclusive growth’. In the coldly rational moments away from the pulpit, the economist in Singh gave top priority to protecting India’s growth. The government made no secret of the fact that India must grow at 10 percent for the next 10 years if all the welfare programmes need to be funded adequately. But the problem wasn’t just limited to providing increased funding to existing and newer social welfare programmes. The other tricky part was to build consensus among various stakeholders, as well as improve the delivery of services by cutting down leakages and corruption. “As far as the social sector reforms are concerned, the UPA-II has been an unmitigated disaster. Even the NAC under this regime has been reduced to a “No Action Committee” and the imperative of growth has clearly overtaken the imperative of inclusion,” says Patnaik. Since the first UPA regime, the PM’s office had substantial ideological differences with the Planning Commission and the National Advisory Council on the methods to solve India’s deep-set problems like hunger, malnutrition, and poverty. However, UPA-I saw NAC having an overwhelming impact on national policy making even on issues where Singh had a difference of opinion. He, for instance, was initially not enthused about the rural job guarantee scheme which would become UPA’s trump card at the hustings. “The problem is that the (Congress) party, even the president, still has a socialist mindset while the reality is that we will have to move to a market economy eventually,’’ says a Congress MP who did not wish to be identified. UPA-II has yet to see any of the big bang social reforms promised by the government though some such as universal health coverage and a national rural livelihood mission are in the pipeline. In his second term as PM, Singh has not allowed the inclusion agenda to overshadow growth. Observers characterise the new PMO as running a war of attrition with the NAC on many such issues like the proposed national food security bill. 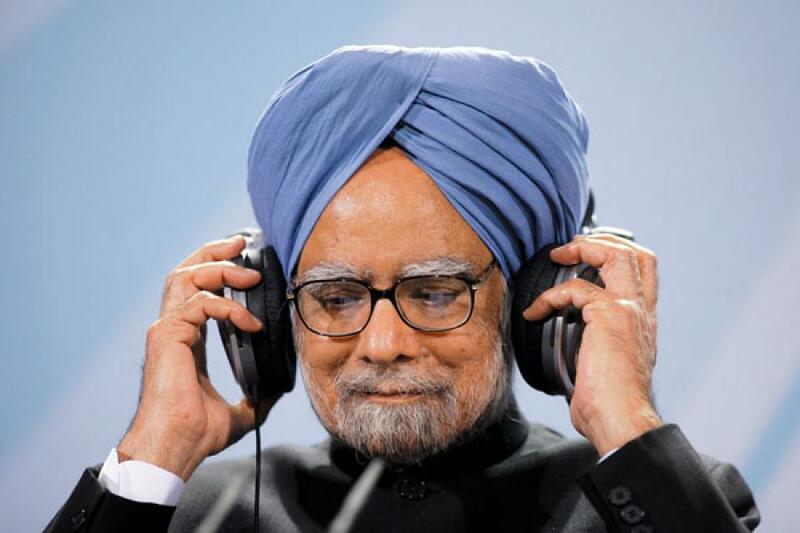 Until a few days before Manmohan Singh held the press conference, the Capital was agog with rumours that he may be replaced as prime minister. Singh put the speculation to rest at the press conference saying that he will “stay the full course”. 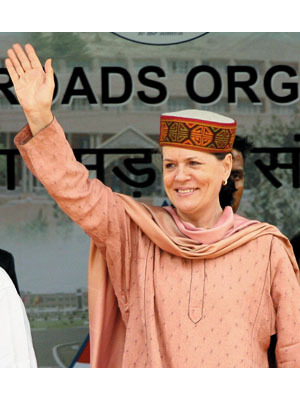 In fact, at the Burari conference Sonia Gandhi had said that the party stood solidly behind Manmohan Singh. An opposition MP gives an interesting analogy from the game of chess to illustrate why Singh has to continue in the party’s interest as well. “If the queen (Singh) goes, then the king (Gandhi) will be exposed. Even if you replace the queen, the position will weaken significantly,’’ he says. Call it the Congress’ compulsion or Singh’s tenacity, the show will go on in the current form.